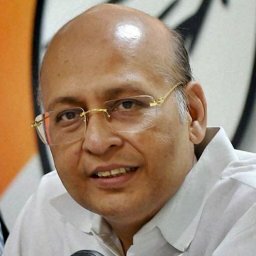 Abhishek Manu Singhvi said an inability to hear any criticism of himself, constructive or otherwise, a self-projection obsession, a self-love obsession and obsession bordering on narcissm has unfortunately become the hallmark of the Hon’ble Prime Minister. Many events over the last 2-1/2 or 3 years have reflected it but I am going to take example of only two very recent ones. One is that an RTI Commissioner under the RTI Law which BJP did not promulgate but we promulgated and which is the biggest weapon against corruption. He does this statutory duty to pronounce a reasoned order saying that at least the documents and degrees of the Prime Minister can be disclosed and let me tell you legally it is a reasonable order for the simple reason that Section 8 of the RTI Act, not a single Provision can remotely apply which permits non-disclosure of certain objectives. That order is appealable, that order is passed in respect of thousands of people like us every day in our favour or against us. It may or may not go in appeal; but the moment it is passed against Mr. Narendra Modi, the whole country gets upside down, topsy-turvy. There is an activity within hours the poor Commissioner is divested of portfolio of the HRD, given to somebody else before any appeal etc. and the order mightbe the reasoned order citing Section 8, citing Indian Law and citing the global trend on the subject American Law and the other Law and I cannot understand what national security arises in disclosing the educational qualifications, the only thing you want to suppress, you want to hide, you want to fool and you want to postpone the inevitable. The second example is of course, in a sense, I would say even more unfortunate because it shows the extent to which obsessive self-love, and self- promotion can go. Mr. Modi has virtually been congratulatory patting himself on the back for several years on a self appointed Sardar Patel basis. He has now tried to become a Gandhi replacement – Mahatma Gandhi replacement, by evicting Mahatma Gandhi from all the stationery published by the Khadi Sansthan and there is no other symbol more associated with promotion or establishment of Khadi wear than Mahatma Gandhi. By putting all calendar and diaries with Mr. Modi’s picture, there is no answer by the Government but a quiet whispering campaign is carried on to say that in many earlier years also, Gandhi Ji did not picture. Well, yes you have for some years when Gandhi Ji was not in diary and stationery but they don’t tell you the whole truth, they misleadyou. Actually half truth is worse that untruth. In all those years, it was replaced by some symbolic emblematic replacement – may be a Charkha or something else. There is no year in which Gandhi Ji has been replaced by the then PM or even the President but No, Modi Ji’s obsessive self–love, self-promotion and narcissism must be that on the one hand, he becomes self appointed, self proclaimed Patel, he now replaces Gandhi. This is the supreme and sad irony. 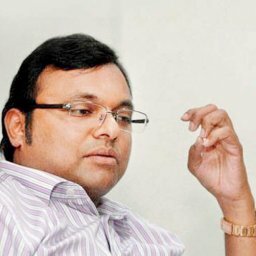 The RSS is frequently accused of ideological fatal attack or attempted fatal attack on Gandhi Ji and ideological attack and now a former RSS Pracharak has replaced Gandhi Ji on the Institution which bears his very-very unique stamp, the Khadi Institution. Of course, the Congress Vice President pointed out just a few days ago in jest no doubt, in jest no doubt, but it can be a very real fear, at the rate we are going that Modi Ji loves to replace and projects himself everywhere. Thank God he has not gone to Chandrayan of India yet. Thank God the Aadhar card is not yet carrying his photo but the way things are going, we are worried that they may also come. It is not question about the individual RTI Commissioner or the Khadi Institution or Gandhi Ji. Gandhi Ji is in any case too great, too giant, gigantic to be replaced by anyone. But the issue is that for world’s largest proud democracy, this is symptomatic of several ills and as time goes by, if this is not curbed, it can be fatal to our democracy. That is the politics of ‘Zid’ No. 1. That is the politics of vendetta No. 2. No. 3 it is the politics of fear psychosis, No. 4 it is the politics of punishment of anyone who disagrees with you, No. 5, it is the obsessive self-promotion, obsession with self in everything. No. 6 it is the arrogance of infallibility. So, I think these are serious concerns, may not be for Modi, not for the Information Commissioner but for the Khadi Institution but for the whole country as a whole which is the only reason we are raising. A short point which I have already made in Hindi about this gross example of corruption, dilly-dallying and financial scam of a gigantic proportion coming yet again from Madhya Pradesh, which is already very famous as you know inter-alia from VYAPAM. There is now for the last couple of days clear information – an honest upright IPS Officer Gaurav Tiwari and frankly we are surprised, pleasantly surprised that somebody could stand up and had the guts to expose Rs. 500 Crore ‘havala’ issue involving in Madhya Pradesh, the businessmen of Mines and Coal in particular, Satish Manish Saraogi, their close links with the State Minister in that State Mr. Sanjay Pathak, the further close links with the son of the State BJP President Mr. Harsh Singh – all of whom are supposed to have business nexus and as personal nexus predictably after our repeated exposes and demand predictably there is only eloquent silence, none of the three things have happened, Resignation No, Removal No, punishment No. We have asked through you several questions which are met by eloquent silence by the Central Government, the PM, the State CM, the BJP State level and the BJP Central level. The questions include the fact that this money nominally found in the name of fictitious benami accounts, is it, if it is not of Sanjay Pathak, whose is it? Is the very-very close business and personal nexus of Mr. Sanjay Pathak and Saraogi is not known. It is believed to have been found in hundred of fictitious accounts. Question No. 2 – please give us a list of names and which those fictitious accounts were opened, addresses, the station of those people, whether they had the capacity to keep even a fraction of money in their account, what do they do? No enquiry, no response. Third – What other thing can it be other than state protection, CM in serial protection, that these are VVIPs in their State, that no action has been taken? No. 4 – a laughable comment comes from the State Government and possibly the Chief Minister that only the ED should look into and can look into it. ED stands on adifferent footing. ED may certainly look into it but what about the CBI, the State Police – even the State Police not looking into it on the ground laughably that neither 420 nor 467 nor 468 nor Prevention of Corruption Offences are made out, prima-facie it reeks of them. These are all IPC, Prevention of Corruption offences. ED may still do its job and what is the connection that Police is not acting, CBI is not being called. At the minimum, we have demanded in fact an SIT. If there is any shame left, both the Central and State Government should immediately agree to SIT at the minimum and in this as I said, the State BJP President, no less, is also according to our allegation, very clearly involved. What is the message the State Government, the Chief Minister and Modi Ji are sending to that IPS Officer who had the guts to expose this? Is he sending a message of ‘Na khaoon Ga, Na khane doonga’ is he sending a message of discipline or robust independence, fairness. This is the real BJP with all the lectures you heard about elimination of big corruption and black-money, this is the real BJP before you. 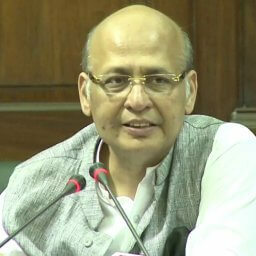 On the Sahara-Birla diaries, Dr. Singhvi said never before in the history of the settlement this speed. I think every litigant would want this remarkable supersonic speed for some Rs. 2000 crore initially in less than 5 months but there are many other features which are equally startling first time- never before has the statutory provision in this chapter for such a gigantic amount which provides for the Settlement Commission to direct the IT to give a report within 90 days. Not even invoked, not even used, it is usually almost every Settlement Commission of 1/10th or 1/100 the amount. Thirdly there has been a complete acceptance of every Sahara contention without getting that report from the IT coupled with a full blanket immunity of prosecution and penalty also. Fourthly, I only wish that the Settlement commission and the Government of India acted so generously against every other litigant with far better case and I must end this by saying there is 100% acceptance of the scaling of the Rs. 2000 or few hundred Crores. I must end this by saying that in the light of the 5-points which I just said, the Congress rightly and strongly demands that at the very minimum, the IT Department should, as it is entitled to, challenge this order of the Settlement Commission. If they have any semblance of propriety and shame, they must, they should and they are entitled to under the Statute to challenge the order of the Settlement Commission because it is unprecedented, we demand that.